Over the last few years, I have been trying to learn more about Gluten-Free Cooking. I know several people that have gluten allergies, some have medical conditions, and others are gluten-free to help themselves to feel better. After our son was diagnosed with high functioning autism, members of our autism community also noted that many families of children with autism and sensory processing concerns participate in gluten-free diets. While we are not there yet, I want to learn as much as possible so we can be sensitive to those who are gluten-free and in case we want to try in the near future. 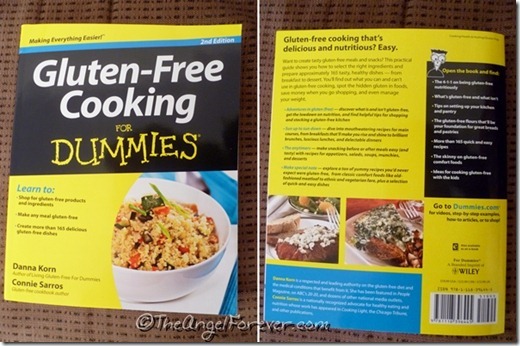 Thanks to an opportunity with For Dummies, I was able to receive a copy of Gluten-Free Cooking For Dummies . Thanks to the holidays, travels, and the kids being sick and home for break, I have not had nearly enough time to really explore this book. Author of Living Gluten-Free for Dummies Danna Korn has paired up with gluten-free cookbook author Connie Sarros to teach people some basics in a Dummies format. The book helps people to learn how to shop for gluten-free products and ingredients (score) and make meals that are gluten-free with 165 gluten-free dishes. I must admit, part of the reason I have not tried to make the switch to gluten-free yet is because it seems intimidating. Change is hard, learning, changing, and conforming eating habits is not easy. This book and knowing so many friends who are doing it and the change in the grocery/cooking world may just change my view. Part 1: Preparing for Your Gluten-Free Cooking Adventures – This section is what I really need to study more. Here Korn lets you know that this is not simply a diet, it really is a lifestyle change. There are reasons why to do it, break down of things that are and are not gluten-free, focusing on nutrition, getting your house ready for the switch, shopping strategies, and why you will not always need recipes. The Cheat Sheets on the Dummies website give you a taste of how everything is broken down into easy to follow steps. Part 2: Mouthwatering Main Courses – Recipes from Sarros are included with focus on gluten-free flour education, dishes with fish/meat, and meatless items. With a kosher kitchen, we are mostly vegetarian at home. There are some tofu dishes, along with soups and more in the next part that are perfect for us. Part 3: Dishes to Enjoy Before, After, or Any Time – Many more recipes including those for appetizers, salads, soups, snacks, and desserts. Cheesy Corn Chowder, Train Mix Bars, Whoopie Pies, and others are at the top of my list to try soon. Part 4 – The Part of Tens – Lists of 10s include easy to prepare comfort foods like nachos, pudding, chili, and more. Also, ten ideas for cooking gluten-free with kids to help families. Gluten-Free Cooking for Dummies has a wealth of information within this friendly format. For someone that is extremely curious about this lifestyle change, it introduces items in a non-threatening way. There are tips, tricks, and a lot of recipes that sound delicious. I also appreciate that each of the recipes has a list of ingredients, prep/cook times, number of servings, and per serving nutritional information. Even if we do not make the complete switch right away, I have items to make for friends that need it and can read more in depth about everything to make an informed decision thanks to this book and all of my friends. Have you already switched to a gluten-free diet or know someone that has? I would love to know your thoughts, tips, and any information you have to share. Please leave comments and links below. 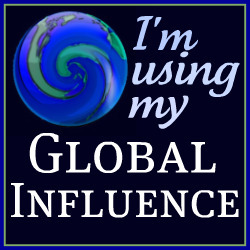 Disclosure: I wrote this post as an Ambassador for Dummies books through a Global Influence campaign. I received a copy of this book for review purposes, but as a fan of Dummies books, the opinions expressed are 100% my own. Additional locations to purchase this book can be found on the following landing page. An Amazon Affiliate link is included in this post for the Dummies book mentioned. I will receive a percentage of money for the sale should you opt to purchase it through that link. Over the past 6 months we have gone gluten free (mostly grain free, actually). If you need any help for suggestions, let me know. 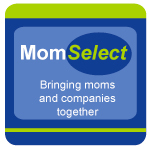 We switched after having my son tested for intolerances last July. Then I was tested and confirmed that gluten was out (also, eggs and dairy). It does take a little while to adjust, but it can be done. I have noticed such big changes in our family. I feel better and have more energy, my husband lost a fair amount of weight without really trying, and both of my kids have made improvements in their language development. I have found that Almond Flour is the easiest to bake with as you don’t have to be a scientist. It’s a little more pricy, but we found it to be worth it. I’ve also found that baking with almond butter (you can use peanut butter too) works pretty well. Try visiting elanaspantry.com. She was the first place I found recipes that were easy to make.